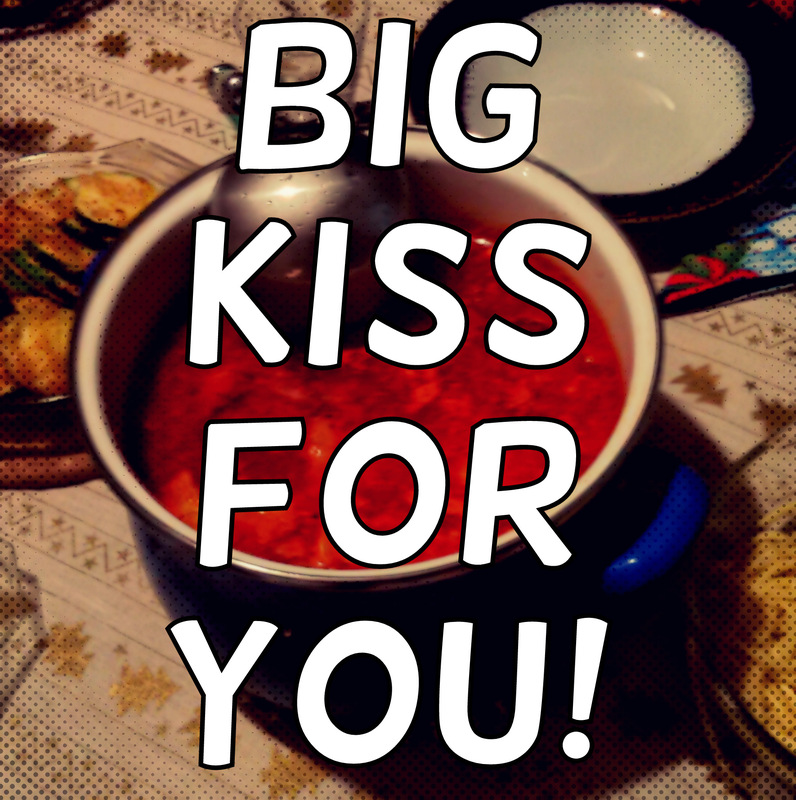 I think I get this from Seinfeld’s soup nazi, but my brain mixes in ‘kiss’ instead of soup, and ’Big’ instead of no. Also, three people won my Goodreads giveaway, so that is pretty exciting too. And while I pledged to not do book stuff till the new year and I returned to Canada… geez, I cannot help myself sometimes. Know what I mean? May you dip into what makes you smile today, and for much of your time in 2014. Cheers to getting up and getting dressed, to silly internet memes, to the sight of fireworks exploding across a city (i.e. Pecs, where we watched from the balcony and shivered in the cold, and I thought – “well this is one way to start things rolling,”), to emotional journeys, to big realizations, to the advancement of science, to the loving of ourselves, to GOOD SCANS and to GOOD BOOKS. MUH! BIG KISS FOR YOU! Happy new years. Something small like new dress can really lift your spirits sometimes, can’t it? Very glad to have your blog to read in 2014. Much joy to you and yours! It’s lovely to see you here, Melanie. I’m glad to have yours to read as well. Catherine, I wish you a year that finds you celebrating its happy little surprises this time next year.